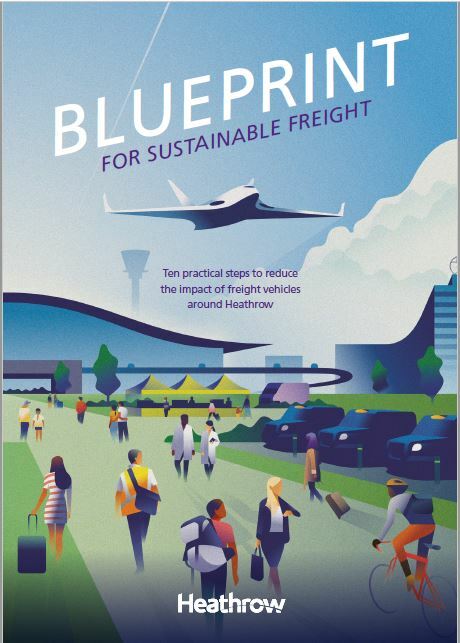 Speaking at the BCC International Trade Summit today, Heathrow’s Non-Executive Chairman Lord Deighton announced a new ten step Blueprint for Sustainable Freight plan to reduce the impact of freight vehicles around Heathrow. Lord Deighton’s speech is the first time the airport has publicly addressed the challenge of the environmental impacts of cargo and set out its plans to ensure that even as Heathrow and freight volumes grow with expansion, overall airport-related traffic on the road does not increase in number compared to today. Heathrow is the UK’s biggest port by value – responsible for handling over 30% of the country’s non-EU exports by value – more than the ports of Southampton and Felixstowe combined. Heathrow’s role as a trading hub will grow as expansion takes place, with cargo capacity set to double with the addition of a third runway. Currently, the majority of freight movements – 2.75 million freight vehicle movements each year- are made to support the airport’s cargo operations. Working with local authorities to address congestion points with a Code of Conduct for operators, and a joint strategic freight plan for local roads. The steps outlined today show how the airport is delivering against the commitments set out in Heathrow 2.0, the airport’s sustainability strategy. Along with Heathrow’s ambitious plans to increase public transport use, and push forward on incentives like car sharing and taxi back-filling these steps will ensure that there is no more airport-related traffic on the roads compared to today with expansion. Local residents and businesses will have the opportunity to feed into proposals on freight and Heathrow’s expansion, as they will form part of the airport’s public consultation process. “Heathrow is dedicated to keeping the UK economy growing – but at the same time, we have pledged to be a sustainability leader and made promises to our local communities that we intend to keep. The ten steps we have outlined today allow us to keep building on our cargo strength and role as Heathrow’s biggest port by value, while restricting the emissions and local impacts of freight vehicles.